Meet our talented team of storytellers. Sam has spent her career building a diverse digital media portfolio through social content creation, strategy, and copywriting for businesses in a wide variety of industries. [Vices]: Wine (oops that's another drink) and writing in closets. Hannah's expertise, combined with an enthusiastic approach to the creative method allows her to furnish impactful video production all while constructing an experience clients won't soon forget. [Vices]: Blue buck and cheesy action movies. 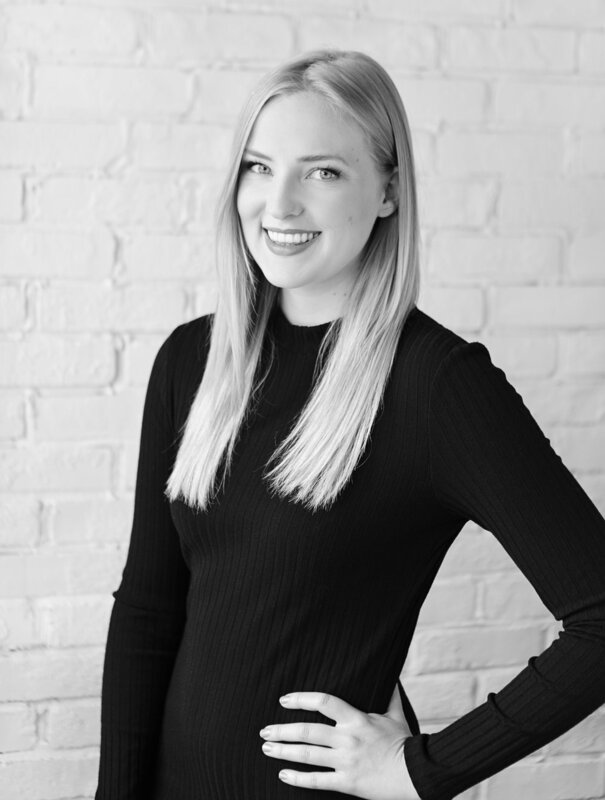 Hayley has her masters in Professional Communications; her ability to create content and align her visual aesthetic to a company's brand and key messaging brings forth a significant amount of value to the connections we make at Roots + ardor. Maddie is a master of visual arts and graphic design. She honed her skills in traditional public relations and media management before joining our team as Digital Account Lead last spring.